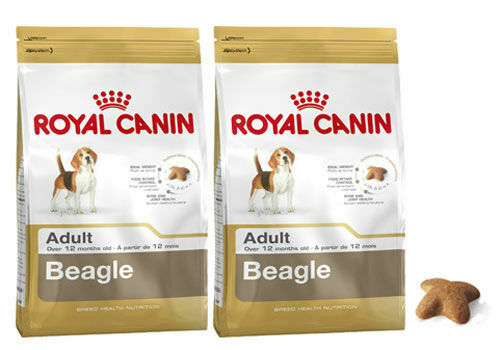 Nutritionally balanced and designed to provide Beagles with the energy they need to remain active and live out their day to day life with vim and vigour, this Royal Canin dog food contains a unique, exclusive kibble that has been formulated specifically to cater to the Beagle breed of dog. 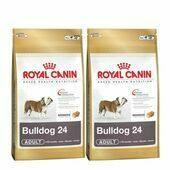 Rich in fibre, this dry adult dog food has been made in such a way that it actively encourages the dogs that eat it to chew their food thoroughly, which in turn makes it less taxing on the digestive system and reduces the speed at which they eat their food. 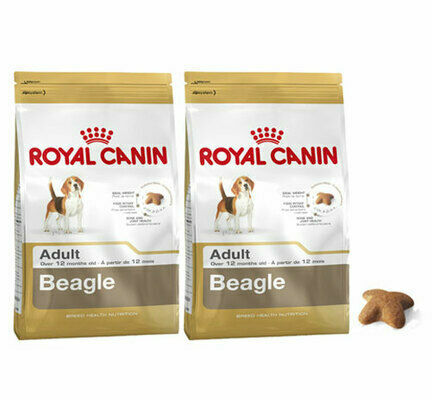 Weight gain is a particular problem for beagles, which is why when formulating the recipe for this Royal Canin dog food they intentionally adapted the calorie content to help to regulate and maintain your dog's ideal weight. 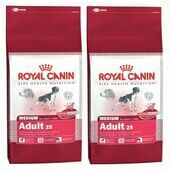 Ingredients: dehydrated poultry protein, maize, rice, wheat, animal fats, maize gluten, hydrolysed animal proteins, vegetable fibres, vegetable protein isolate*, beet pulp, minerals, fish oil, yeasts, soya oil, psyllium husks and seeds, fructo-oligo-saccharides, hydrolysed yeast (source of manno-oligo-saccharides), borage oil, green tea and grape extracts (source of polyphenols), hydrolysed crustaceans (source of glucosamine), marigold extract (source of lutein), hydrolysed cartilage (source of chondroitin). 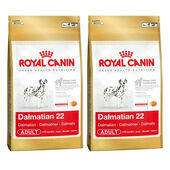 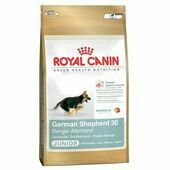 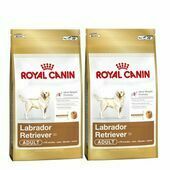 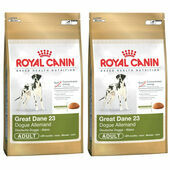 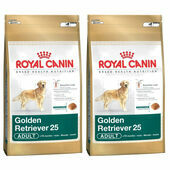 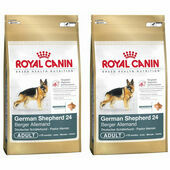 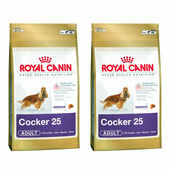 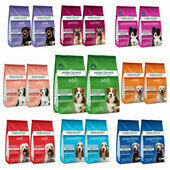 Please Note: The price of this Royal Canin Multi-Buy is a promotional offer only and will end on the 31st of August.